The air we normally breathe contains 21% oxygen. Oxygen treatment delivers 100% oxygen at a pressure greater than normal so that a higher level of oxygen can be dissolved in the blood. This higher concentration of oxygen is thought to promote healing within the body tissues. The treatment consists of an hour of breathing in 100% oxygen through a mask in a special pressurised chamber. We have one of the few oxygen chambers in the area, which is run almost entirely by a team of friendly and qualified volunteers. 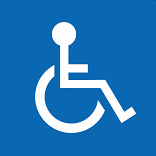 We have 2 chambers which can each accommodate up to 5 people per session, depending on the number of wheelchair users. During the session you will be sitting down and can read or use an electronic device. The chamber will be taken to the required pressure over a 15 minute period. During this time you may feel that your ears need to pop but this is normal. Once at pressure you will be asked to put on your mask and breathe normally. You will be breathing 100% oxygen for about one hour. After the treatment has finished,the chamber will slowly be brought back to normal pressure. HOW COULD OXYGEN TREATMENT BENEFIT ME? There is a wealth of anecdotal evidence and patient-reported benefits from using Oxygen as a treatment for people with MS and a wide range of other medical conditions. 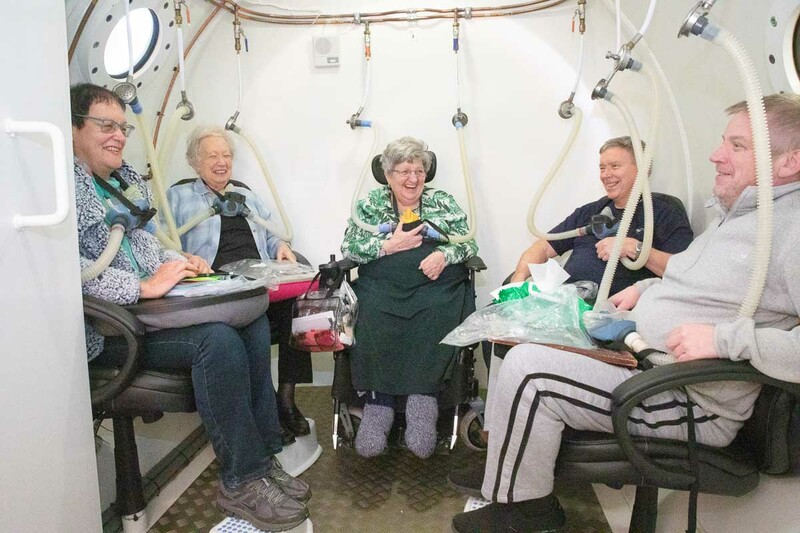 Due to the lack of scientific evidence to support these benefits, Oxygen treatment is not normally funded by the NHS for neurological conditions. IS OXYGEN TREATMENT SUITABLE FOR ME? There are some risks associated with Oxygen treatment however these are extremely rare and great care is taken to minimise any risk. At pressure, the air in your body is affected and will need to be equalised. Your body is capable of equalising most of these air spaces by itself; however certain air spaces may need some assistance. It will be necessary to equalise any pressure you feel on your eardrums during pressurisation of the chamber. Oxygen treatment is not recommended alongside some medication. Please refer to the User Guide for the full list. Oxygen treatment is available to anyone, subject to the relevant health checks, and a full assessment will be carried out with you before your first session. MS Centre members can book at reception or by calling 01296 696133.